Through 2017 (and in certain cases 2018), exceptions to federal tax laws allow some homeowners to escape additional tax liability when going through foreclosure. The experience of home foreclosure is difficult enough to endure without the headache of being held liable for federal income taxes assessed against the amount of money the forgiven debt represents. Exceptions to federal tax laws allow some homeowners to escape additional tax liability when going through foreclosure. Tax experts warn, however, that the exceptions may not be around forever. A longstanding principle of tax law treats any type of debt forgiveness as a financial benefit, even if it comes at the expense of your home. This means that even if you are facing foreclosure you may incur an additional debt to the government, either in the form of Cancellation of Debt Income, or in the form of Gain from Foreclosure. “Some people refer to that as phantom income because no cash is trading hands,” says Rob Dietz, a housing economist with the National Association of Home Builders. It is up to you to know what exceptions can eliminate the burden of Cancellation of Debt income. For example, debt forgiveness is not taxable if you’re insolvent. If you’re filing for bankruptcy and going through home foreclosure at the same time, you may not need to worry about additional tax liability. There is a distinction between those who can't avoid foreclosure and those who choose foreclosure as an escape from a bad investment. But, Thielen says, insolvency typically carries strict definitions. For example, you may not be considered broke if you are due a pension upon retirement, even if you can’t access the pension right now. If you are considering walking away from your home—choosing foreclosure—Thielen recommends pausing for a moment. Walking away, he says, is not so easy. "You have to ask yourself some really difficult questions," Thielen said. "Are you comfortable going six months without making a payment and dealing with the stress related to that? Just envision the number of calls you'll get." Beyond the traditional insolvency exception, you may qualify for additional help under the 2008 Housing and Economic Recovery Act. 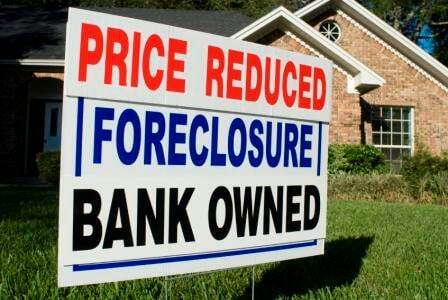 Is the foreclosure occurring on your principal residence? Is your mortgage debt restricted to the purchase and improvement of your home? If you answered “yes” to both, you’ll face no additional tax burden, says Linda Goold, tax counsel for the National Association of Realtors. A summer home on the beach is still subject to taxes. So is that refinancing you might have undertaken to pay for your daughter’s wedding. The act was extended through the end of 2017. If you think you will be facing foreclosure in the near future, or if you are considering “short selling” your home for less than your mortgage balance, Goold says, “You jolly well better get your transaction under way as quickly as you possibly can” because processing such transactions can take months. This can also apply to debt that is discharged in 2018 provided that there was a written agreement entered into in 2017. In other words, even if you start the process in 2017, you will not benefit from any of the law’s exceptions if the transaction occurs in 2018, unless there is a written agreement entered into in 2017. Goold says there is another, lesser-known exception. The reason it is lesser known, perhaps, is that it is hard to take advantage of. In some circumstances, your bank may be willing to restructure your loan to reduce the principal. The government does not consider this taxable debt forgiveness, and it may just allow you to keep your home. The problem, of course, is that banks might have difficulty seeing the benefit of writing off part of your debt. Goold says you may be in a good position to enter this kind of negotiation if your mortgage is with a local community bank where you have personal relationships. Thielen says it is wise to verify the accuracy of your Form 1099-C, which lists debt forgiveness. The debt forgiveness is based on the fair market value of your home, but you are not required to accept the lender’s number. He also suggests you check your credit report to ensure the bank has actually released the debt. Taking on an unaffordable mortgage is not the only way in which homeowners find themselves in regrettable situations. Many homeowners who are current on their payments find the home is worth less than the outstanding mortgage balance. This no doubt is partly because of a fall in the housing market, but it can also occur because of things outside of the homeowner's control. "It can be where my lovely property is now a block and a half away from a new highway, and I can't cross that highway, so my property is now more stranded, so the value has gone down," says Linda Goold, tax counsel for the National Association of Realtors. If you choose to "short sell" for less than your home is worth, you should be aware that banks will not likely process the transaction immediately. Goold says she knows a couple that attempted to purchase a home through a short sale. Eight months after the couple made an offer, the bank still had not recognized the transaction. The couple had to find another place and broke their contract on the short sale.